Signup with Email & Contact No. Discover the French language and Francophone food from all over the world. Along with the screening of Francophone films, there will also be stalls serving culinary delights from Francophone countries. All Films are with English Subtitles. Kindly check schedule for timings. The first ever international film festival on Architecture and Urbanism is organized by NFAI and India Art Gallery on this Friday and Saturday 24th and 25th August 2018. European cinema is rich in narrative and stylistic experimentation, and it has always attracted the film lovers. National Film Archive of India is thrilled to host European Union Film Festival 2018 from 6th July to 12th July. The Consulate General of the Republic of Korea in Mumbai in collaboration with the National Film Archive of India (NFAI) are hosting the ‘2018 Korean Film Festival’ on 7th & 8th June, 2018 at the ‘NFAI Auditorium’ in Pune. To mark the International Women’s Day, a Women’s Film Festival has been organized from 9th March to 11th March at NFAI. 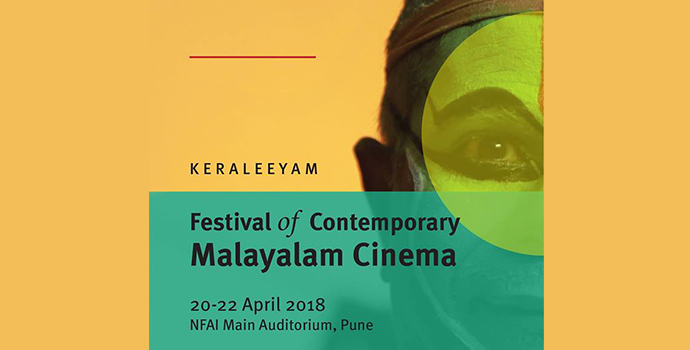 The festival has been jointly organized by NFAI, Aashay Film Club and the AAYAM Group of women in media. We are excited to announce the 3rd \"Fragrances from the North-East\" Film Festival in Pune! Korean Film Festival is an annual event which screens various Korean movies at NFAI, Pune. The cinema of Thailand is rich in narrative and stylistic experimentation, and yet it remains a relatively unknown to film lovers in Pune. A special screening of Deepti Naval\'s unreleased film Do Paise Ki Dhoop, Chaar Aane Ki Baarish will be held on the occasion of her book launch at NFAI. NFAI will be hosting the European Union Film Festival 2017 which brings to the city a selection of some of the finest and most riveting films from Europe during 11-17 June 2017. NFAI, Protecterra Ecological Foundation and Aashay Film Club cordially invite enthusiasts and others to join us to celebrate the planet. NFAI presents a Film Retrospective on popular writer, Late Vyankatesh Madgulkar to mark the year of his 90th birth anniversary, in association with Vyankatesh Madgulkar Pratishthan and Aashay Film Club. On this International Women\'s Day, NFAI presents a 3-day film festival in association with Aashay Film Club and Aayaam. National Film Archive of India (NFAI), Pune and Aashay Film Club present the Serbian Film Festival in association with Federation of Film Societies of India, Mumbai and Embassy of Republic of Serbia, New Delhi. Marking its 53rd Foundation Day on 1st February, 2017, National Film Archive of India (NFAI) brings you a festival of classic Indian films restored by NFAI. North East Film Festival happening at National Film Archive of India will feature the best of Northeastern Cinema, Music and Food. All efforts have been made to make the information as accurate as possible. National Film Archive of India will not be responsible for any loss to any person caused by inaccuracy in the information available on this Website. 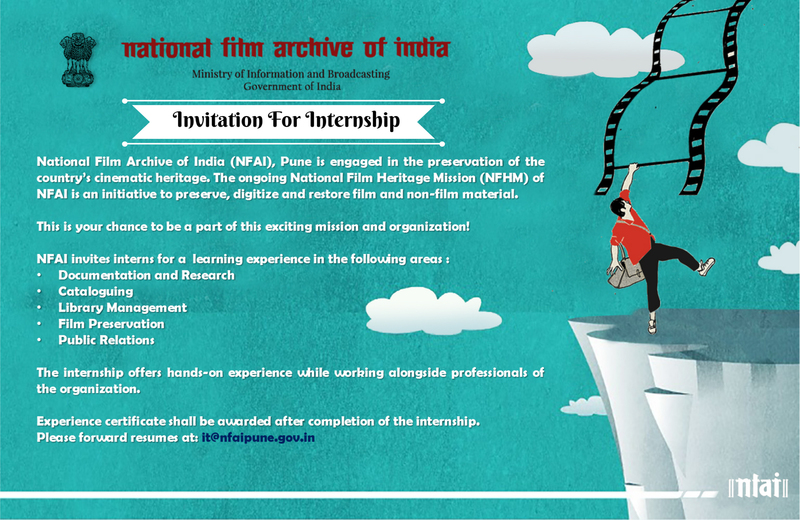 Any discrepancy found may please be brought to the notice of National Film Archive of India Pune.